1.Simple structure; easy to operate and maintain. 2.Easily adjustable pattern for enhanced winding effect. 4.Slow start to minimize yarn breakage. 5.Traverse: 6", 8", and 10". 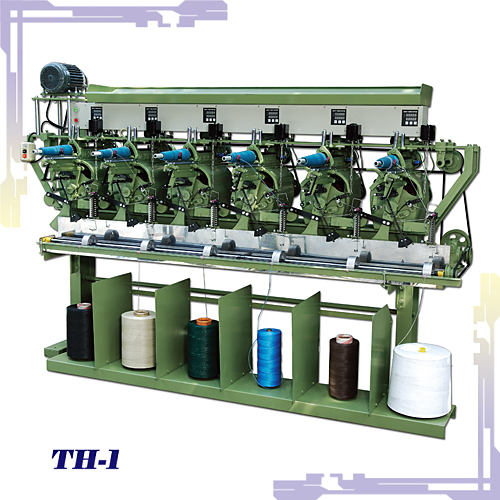 6.Suitable for cotton, nylon, and plastic yarn. 7.Optional accessory: Oil tank, frequency converter, and six-unit-linked yarn meter.